CPA has scheduled a mobile farmer during the summer months, making it easy for coupon holders to use their Farmer’s Market Coupons! All coupons must be used by October 31st 2016. And all farmers accept cash and are open to the public. What a great way to get fruits and veggies picked fresh from the farm (Reminder: Selections vary based on what is fresh, and may vary depending on the farmer)! Watch for more dates soon! 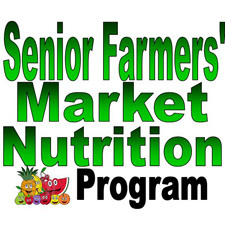 The Senior Farmers’ Market Nutrition Program is supported by Federal funds from the U.S. Department of Agriculture, the Ohio Department of Aging, and the Western Reserve Area Agency on Aging. Community Partnership on Aging is an equal opportunity provider.